Veterinarians need accurate information on the current status and the development of animal health as well as individual and animal stock performance. 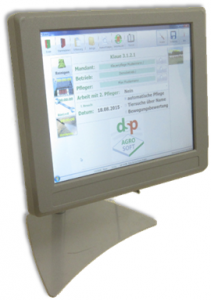 For this purpose the information system Integrierte Tierärztliche Bestandsbetreuung (ITB) was developed in close connection to the herd management system HERDEplus. It is closely linked to the herd management systems of the famers and the central mainframe computers, the HIT and increasingly to practice administration. 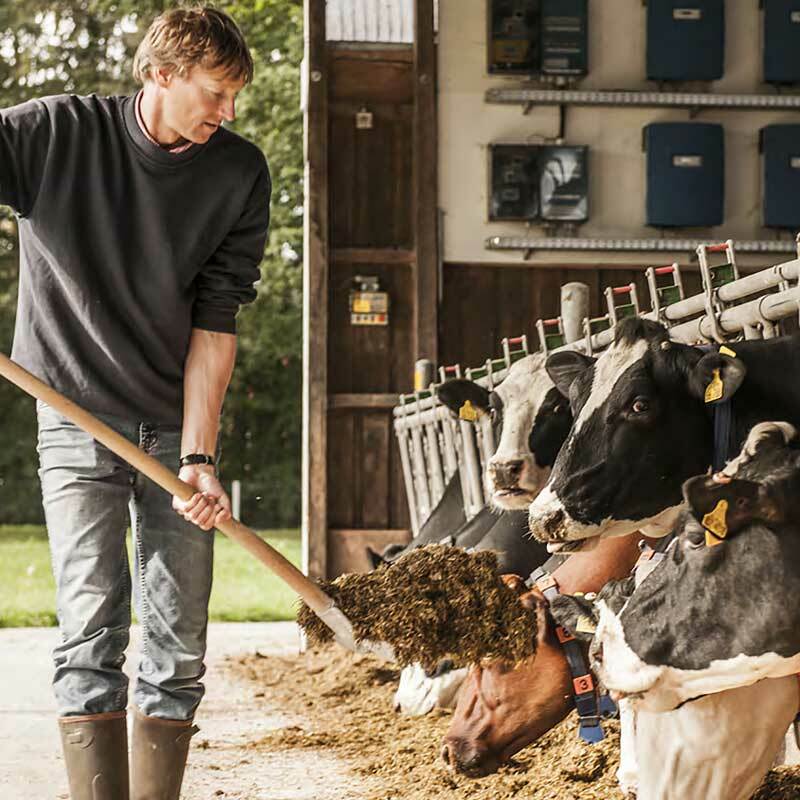 The ITB Bestandsführung consists of a simple herd management system with integrated animal health monitoring that is specifically designed for the needs of the veterinarian. This ensures a complete lifestock management in a complex data network with all available data sources. Through these, the current animal stocks are taken over into the ITB Bestandsführung and continuously updated without additional manual work. Developed for analytical work in the context of veterinary care, ITB controlling mainly supports the veterinarian’s prophylactic work in reproductive and health analysis as well as feeding control. 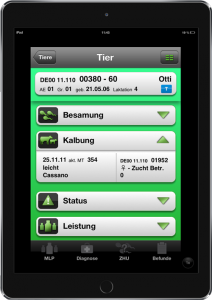 For a closer and more effective cooperation between veterinarian and farmer, we have created the modules ITB mobile (for your own Iphone) and stable book mobile (for the farmer’s iPhone). 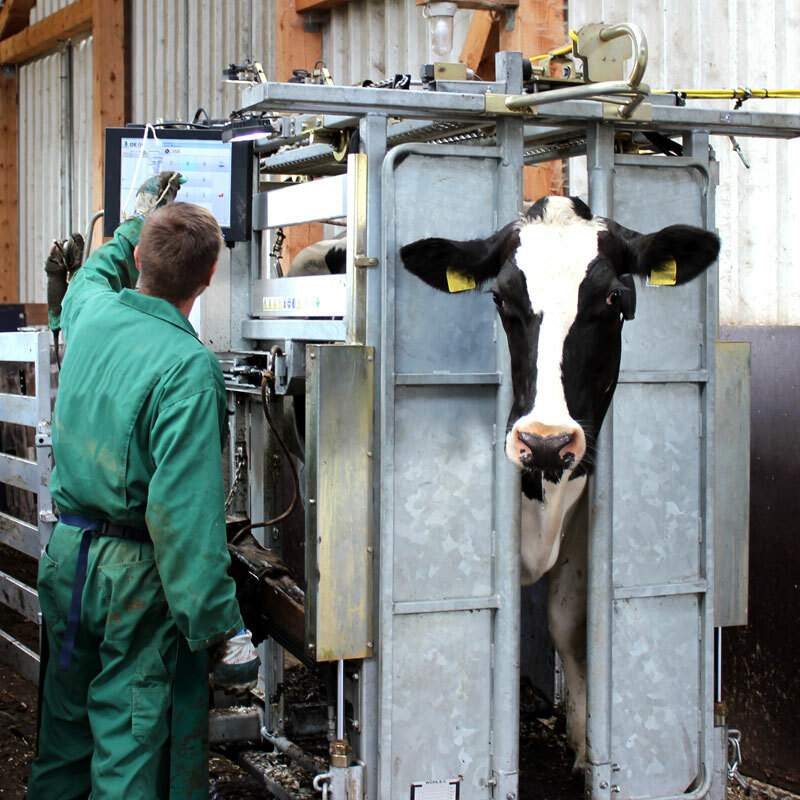 In this context, the farmer receives a simple, clear and mobile herd management for all iOS devices after the data has been provided by the veterinarian. The veterinarian directly sends his farmer’s current animal stock from the ITB Bestandsführung to the farmer’s mobile device by email and receives additional information from the farmer that would otherwise not be available. The new data is ready for evaluation immediately after the import. Visit the app store and download the free demo version on your iOS device. 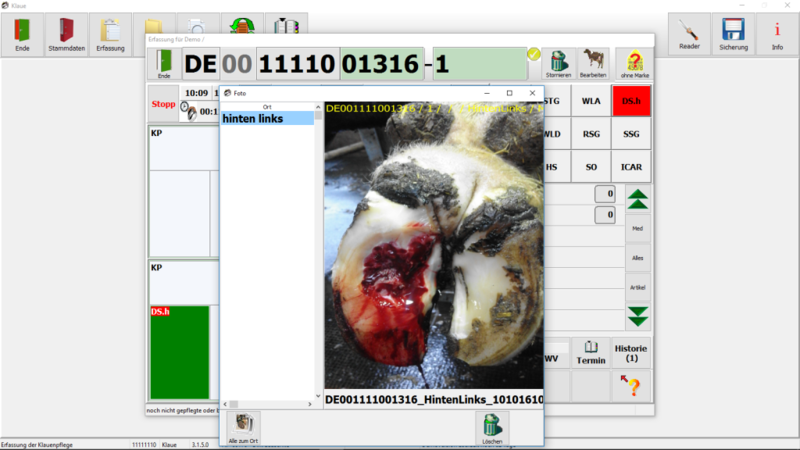 KLAUE is a software solution for veterinarians to increase the efficiency of detecting and evaluating hoof health. The recording takes place directly at the hoof stand under stable conditions with minimal effort. With a touch-screen pc, all entries can be made directly by finger pressure, even with gloves. Multi-program data synchronization supports companies with multiple caregivers in multiple locations. Proof of work and delivery note can be obtained directly on site. In addition, replay lists are automatically created for the next visit. 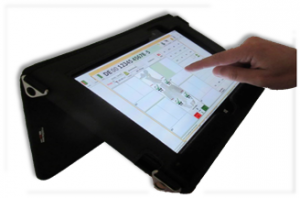 The evaluation of claw health gives the advantage of software-supported documentation. The documentation includes the automatically created AuA-list. Findeisen Klauenpflege, which meanwhile are more than 20 years claw care in the whole of Germany. We also started small. The start took place in 1993 as a one-man business. After three months, the first reinforcement was needed due to the great demand. Gradually, more and more customers came to it, so that currently 27 employees are active in claw care. Due to our size, we can adapt well to local conditions to ensure fast and professional hoof care. In cooperation with the Agricultural Educational Center in Echem, our hoof curlers are also brought up to date once or twice a year in theory and practice, even after they have completed their specialized Courses. The KLAUE has been designed for touch operation. In addition to our software, we also offer the corresponding hardware. For mobile use, the Pokini brand devices are our favorite. Since the input is designed for touch operation, we recommend a size from 10 inches, devices for stationary use are available from 15 inches. Protective covers and outdoor use, even in damp and dusty environments, must be considered before you buy. If you want to work mobile, pay attention to the battery power, as well as the charging speed (better with docking station). Although the charging function via mini USB would also work in the car, however, the susceptibility to repairs in case of defect of this type of connection is very high. Request a quote from your dealer, we will help you in case of warranty. You should consider this when buying a cheap device. Cheap devices are usually not worth repairing them.